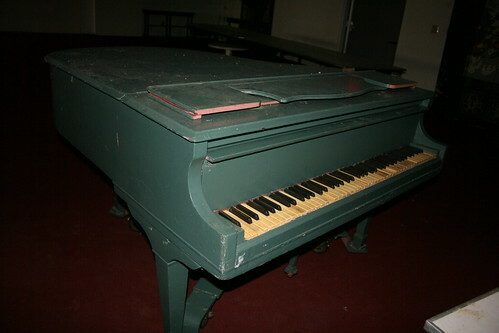 A vintage piano, painted blue, in the main dining room. It is interesting to see that this piano was painted as such, because it likely significantly reduced any intrinsic value it once had. This piano was in rough shape far beyond a simple tune-up, unfortunately. It likely needed all new strings and hammers, no cheap repair when you have 88 strings and hammers that all have to be changed by hand.